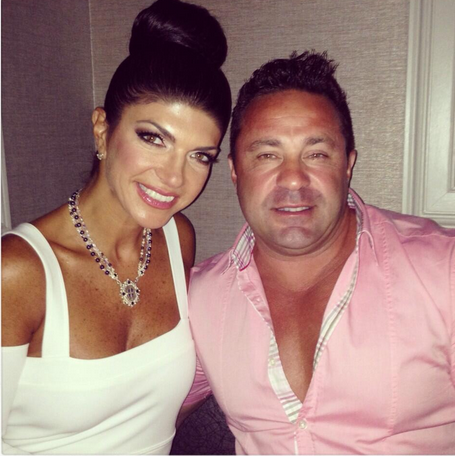 Queen Teresa Giudice and her hubby Juicy Joe are really starting to disappoint me. They STAY in some mess it seems, and they are always in the center of a clusterfukk of drama. After this incident that was reported by TMZ, I'm going to need for these two to sit their azzes down somewhere until ALL of their federal charges have been cleared. So anywaytho, the Giudices and a few of their friends and family members went to a New Jersey beach but decided they didn't need/want to pay the $5 per person beach entry fee. Yeah, the same fee that EVERYONE ELSE on the beach had to pay in order to relax by the shore. So Tre is chillin with her fam when a beach employee walks up and notices that none of the Giudice clan had a beach-issued wristband on (yeah, the wristband you get when you actually pay to the enter the beach). So the poor beach worker, not knowing she is dealing with two reality t.v. stars that clearly have their heads shoved up their azzes, asked the Giudices to pay the fee and that's when the Italian storm rolled through! Allegedly, the family flipped out and yelled obscenities at the girl like, "F- you, f- this, we're not paying for the f-ing beach! ", and caused the girl to burst into tears. Awww, po' lil' tink tink. I know Tre and 'nem aren't strapped for cash so why couldn't they just pony up the $5 or pack up their red wine and cannolis and shyt and take their azzes to a free beach? 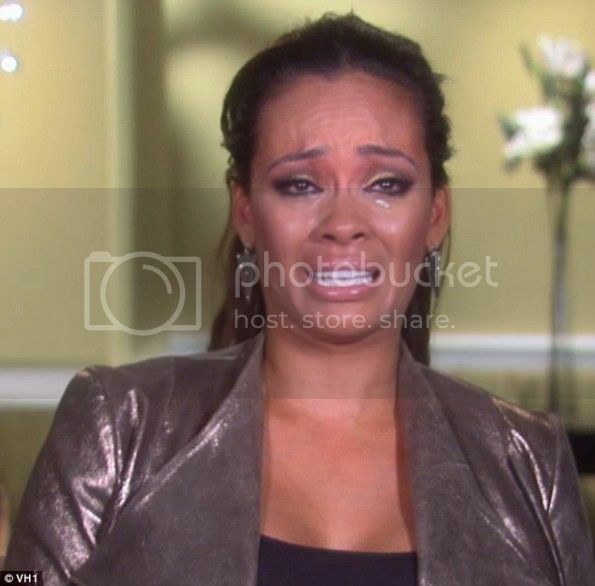 All of this was so unnecessary and uncalled for. A beach police officer rolled up and the Giudices finally coughed up the $5 per person charge. Yeah, they clearly didn't want no problems with law enforcement! So basically they cause a gagglefukk of a scene in front of their young children and cuss out some young beach worker only to end up paying the charge in the end? Bunch of friggin low budget dummies. Although this is somewhat of a minor issue, I'm seeing the Giudices in a different light. Teresa is still the Queen, don't get it twisted, but the arrogance and sense of entitlement that Tre and Juicy have is disgusting. I'm going to need for them to act a little more humble and not forget that at the end of the day, they're still a bunch of crooks from Patersonnnnn baby *in my Teresa voice*. What do you think about Teresa and Joe causing a ruckus on the beach? LOL! They are SCUM! Always have been and always will be! !